Sugarcane juice / Karumbu saaru is a yummy juice, which is very simple and healthy drink. 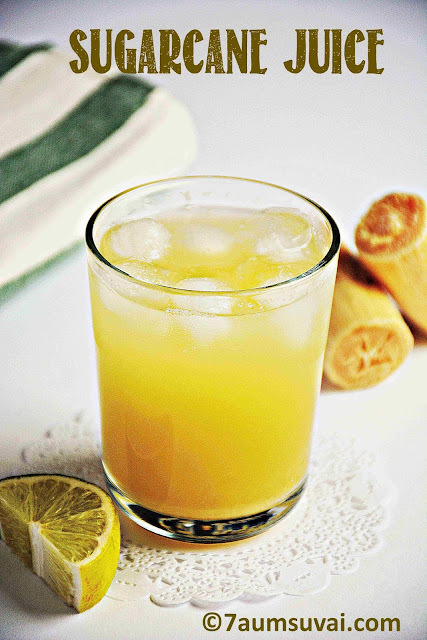 Sugarcane juice tastes good with ginger and lemon juice. 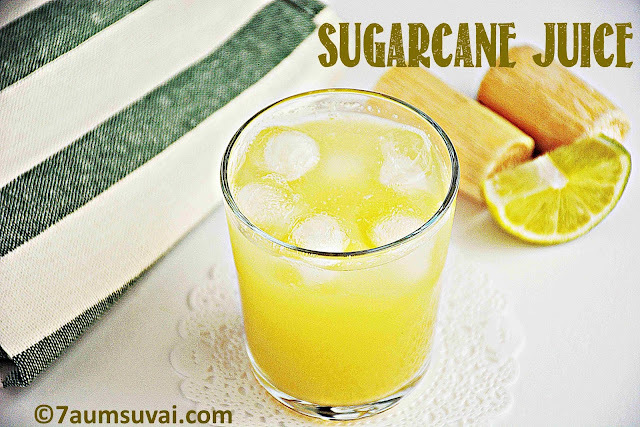 Initially, it was very hard to get sugarcane here in Canada, but now it is available in all Indian stores throughout the year. 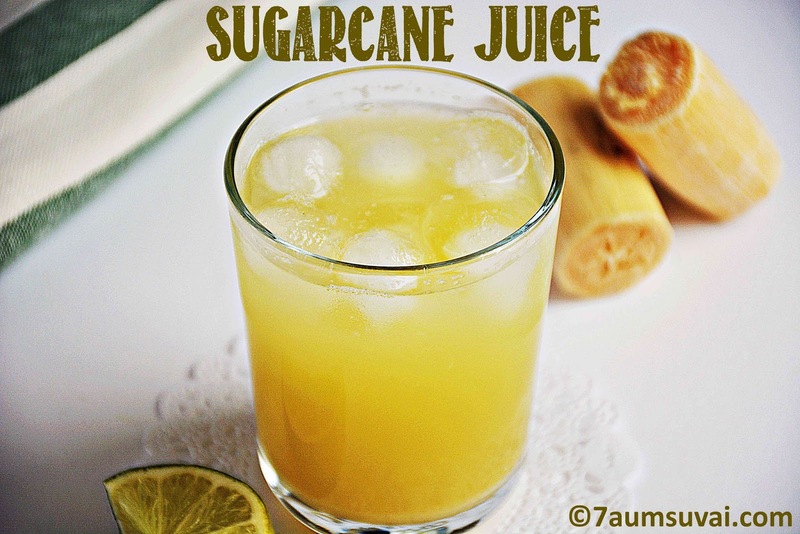 Cut sugarcane into small pieces. Add to a mixer grinder along with ginger crushed. Grind everything well together. Strain well using strainer and squeeze out the juice completely. 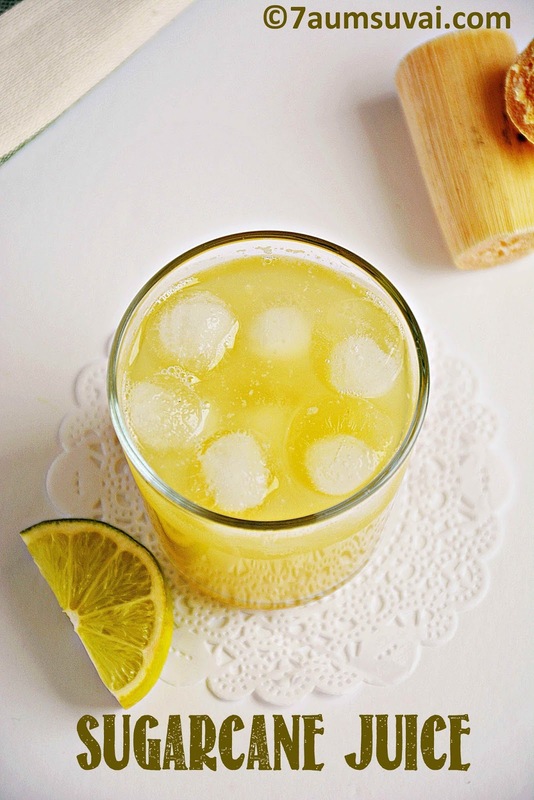 Add the lemon juice and ice cubes, give a quick mix and serve cold. You may use little water while grinding, as it will affect the taste and sugar level. You may either add ice cubes or refrigerate the juice to have it cold.